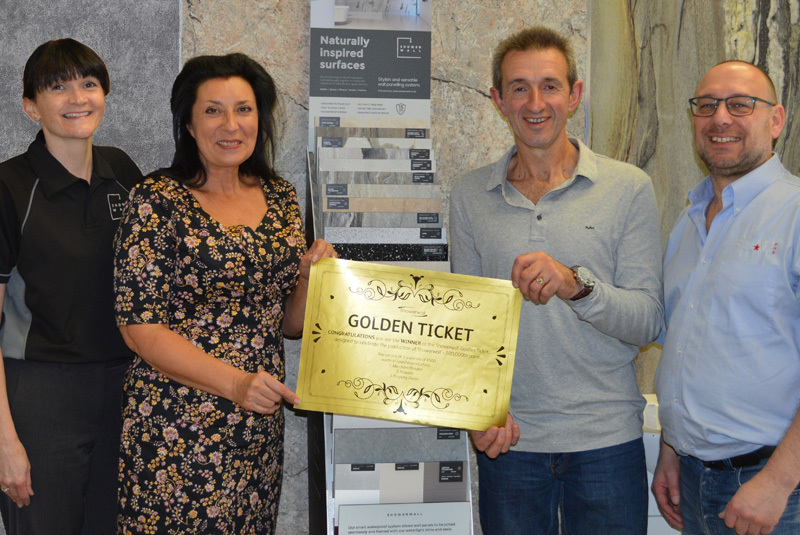 One lucky Showerwall customer has celebrated winning a £500 shopping voucher after finding a special ‘Golden Ticket’ hidden inside the packaging of the company’s 500,000th panel. The ticket was discovered by George Boulton of Bristol-based G-Fix installations, while working on a bathroom refurbishment for property developer, Sally Major. Both have now received their £500 Love2Shop vouchers in addition to Rob Stargatt, Owner of Star Plumbing and Heating Supplies, who supplied the panels. For more information on Showerwall, visit www.showerwall.co.uk.